We are here with certain factors that you should consider while purchasing the playground equipment. Material Used - Play sets are generally constructed using aluminum, wood, metal and plastic. Select the equipment that is sturdy, strong and durable material. It should easily withstand adverse weather conditions and can stand firmly on the ground for years on end. Quality - Go for the manufacturer who has the International Playground Equipment Association certification that ensures he sells only superior grade sets to the customers. 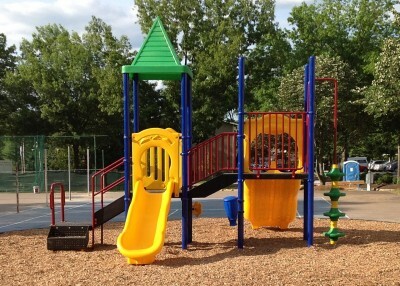 Before making the final purchasing decision, ensure that manufacturer has stringently followed all the guidelines defined by Consumer Product Safety Commission (CPSC) and American Society of Testing and Materials (ASTM) while constructing the playground equipment. Safety - Another factor that you should consider while looking out for commercial playground is safety. Whether you are buying a complete play house or a swing set, make sure it is installed with anchors like bars, railing and hinges at the requisite places. Consider that all the pointy edges or rough surfaces in the play sets that can harm the children, is properly covered. Location - Carefully measure the area where you will install the commercial playground. By this, you would get a clear picture of how big play set you can purchase for kids. If followed patiently, the above mentioned factors would help you out in making the right purchasing decision.